Kat Von D's liquid lipsticks are very popular. Well, liquid to matte lipsticks are very popular this year overall so there are lots of happy campers looking forward to the release of her new metallic liquid lipsticks. I love them all. Rocker does give me a Christmas vibe but it would be fun to mix it with the other shades. Televator looks very similar to Sephora's new Cream Lip Stain Polished Purple. 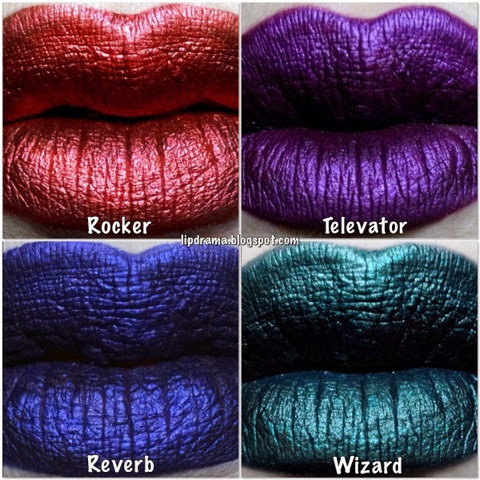 I love blue lips so Reverb is at the top of my list and Wizard looks so interesting. And the good news is this only the first four of ten that will be released. Can't wait to see the rest! What are your thoughts? 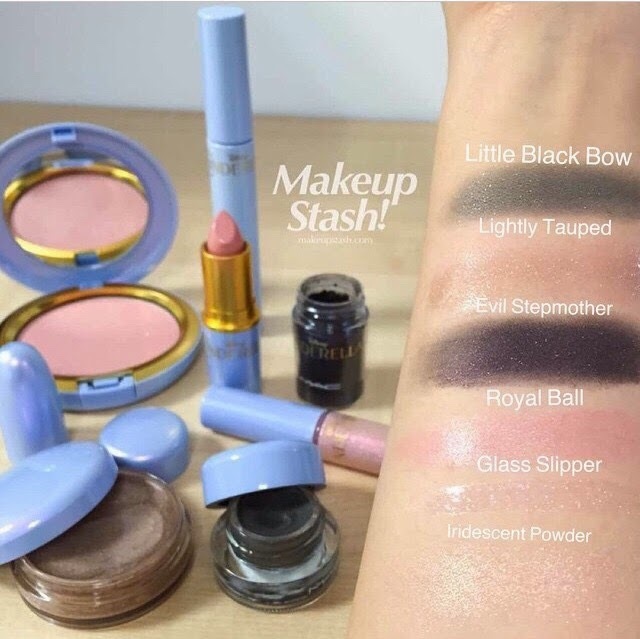 Are you gonna be purchasing any of these? Let us know in the comments.